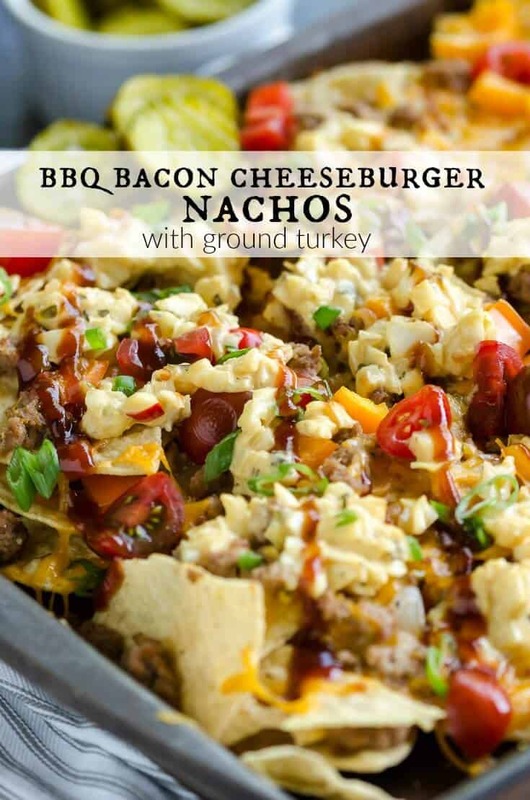 Take your nachos to another level! 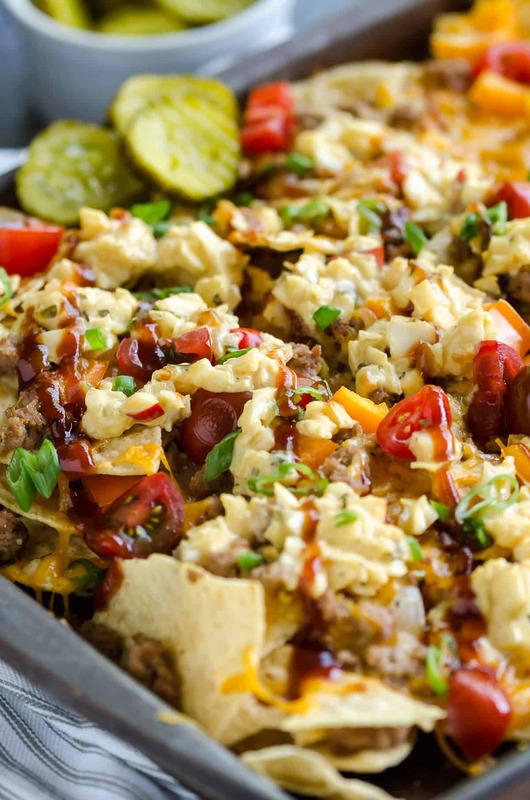 These BBQ Bacon Cheeseburger Nachos are a twist on the classic burger. 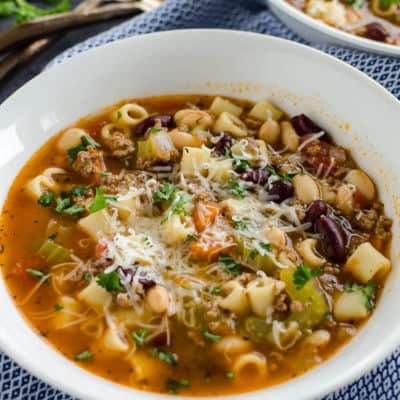 They’re made with ground turkey, and the final topping totally makes this recipe. Chips & Cheese, is there anything better? Melty gooey cheese on crunchy salty chips? YUM! And that’s only the beginning of this ground turkey nachos recipe. 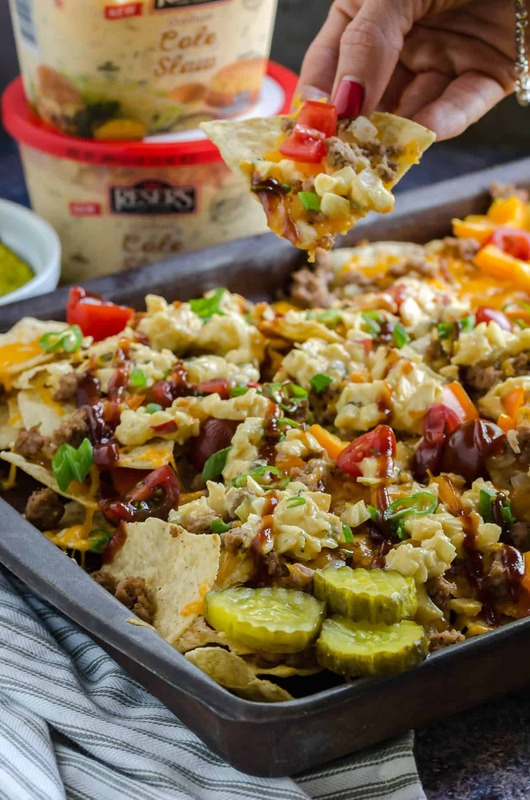 BBQ Bacon Cheeseburger Nachos are a fun way to change up this crowd-pleaser. I’ve always adored Mexican food. I’ve said it before, but if there’s one cuisine I had to eat for the rest of my life, it would be Mexican. Tostadas, Pork Carnitas, Steak Fajitas, Guacamole… All. Day. Long. 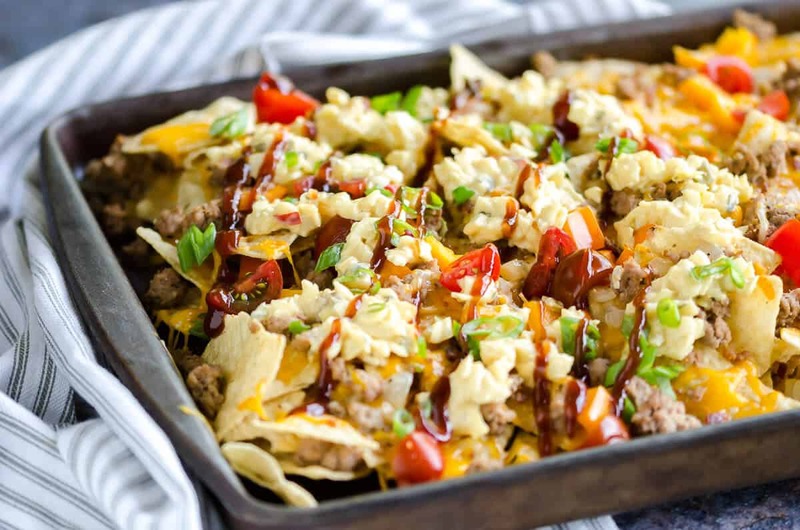 Although these Cheeseburger Nachos aren’t exactly Mexican, you’ll love them! Just gotta try something different every now and then, ya know? So most of you when you think of a cheese burger are thinking of beef. And I do too. However, I do love turkey burgers (this Asian one is amazing!) as well. You might be wondering, why ground turkey. Is it better? 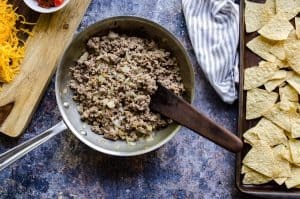 One of our favorite ways to enjoy ground turkey is in this easy turkey skillet dinner. Does ground turkey taste good? Yes! When you’re using turkey as a substitute in a chili, or sauces or stews, I really don’t think you can tell. A burger definitely has a different flavor, but still delicious. I tend to top my turkey burgers with different ingredients than I do my traditional burger. I’m getting hungry, how about you? 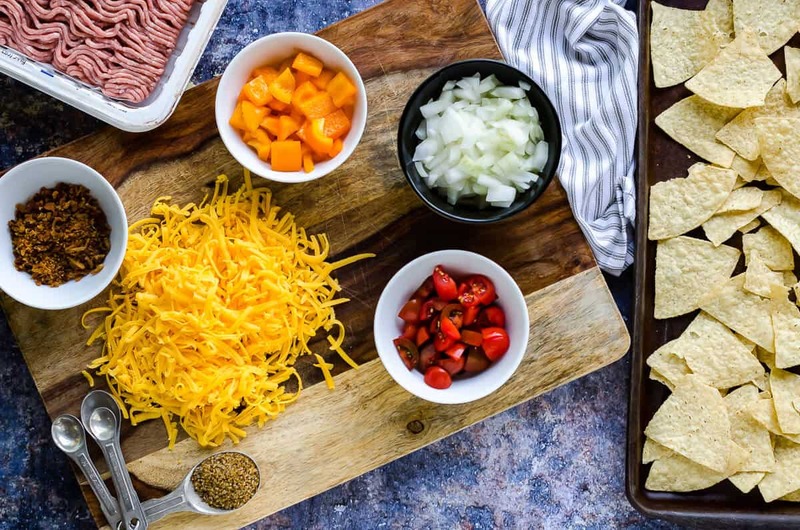 Let’s talk about these Cheeseburger Nachos! Step one: Cook the onions in a skillet for about 5 minutes, then add the ground turkey and brown until cooked throughout. Add some barbecue sauce, and set aside. Step two: Lay the chips out on a baking sheet and load it up with cheese, meat mixture, bacon, and bell peppers. After baking them, top with tomatoes, Reser’s Stadium Cole Slaw and barbecue sauce. The Reser’s Stadium Cole Slaw MAKES this dish! 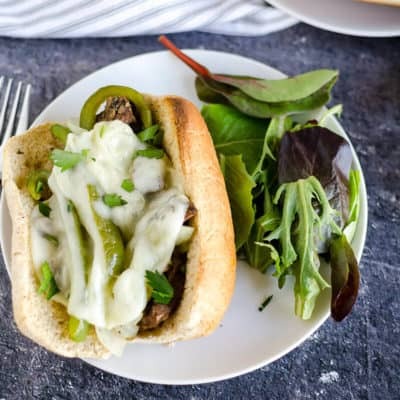 It has a unique flavor of mayo, mustard, sweet relish, ketchup and a dash of hot sauce for a little zesty bite at the end. It’s SO good! 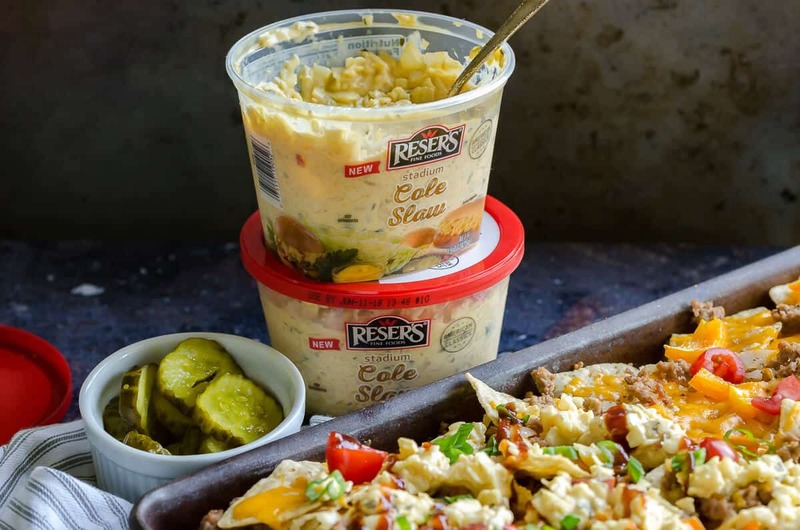 I love that Reser’s uses high quality ingredients, no artificial colors, flavors, or high fructose corn syrup. I can feel great about serving this up to my family and friends. Depending on how lean your meat is, you may need to drain. Make sure your chips are in a single layer. Do 2 layers of chips and cheese, then the toppings. I like to add the tomatoes after cooking, but this is completely optional. I do this to prevent slimy tomatoes, even though I do like them cooked. 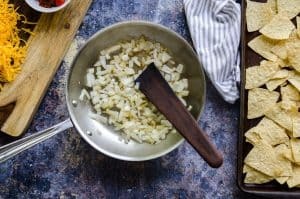 Use a large half sheet pan or two to feed a crowd. 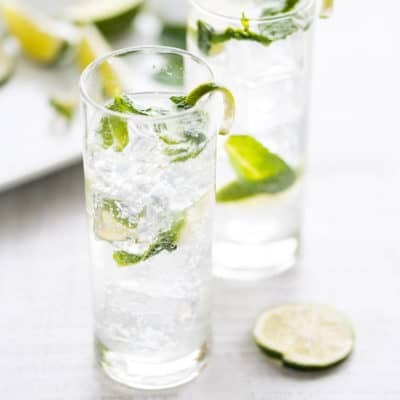 This recipe is very versatile, so you can make as little or as much as you’d like. I would love to connect with you! Leave me a comment and follow me on Facebook, Instagram and Pinterest. Crunchy chips with melty cheese topped with ground turkey, onions, bell peppers, tomatoes, cole slaw, and barbecue sauce. Add barbecue sauce, and stir. 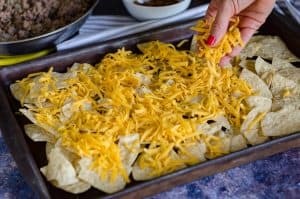 Place 1 layer of chips on a sheet pan, top with cheese. 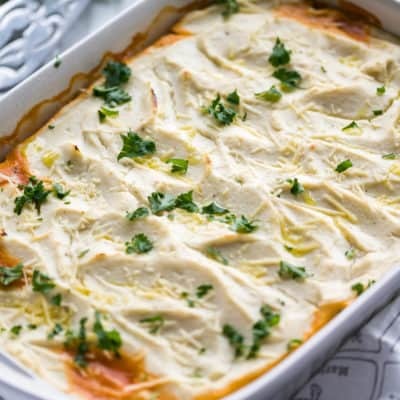 Add a second layer of chips and a second layer of cheese. Then add meat, bacon, and bell peppers. 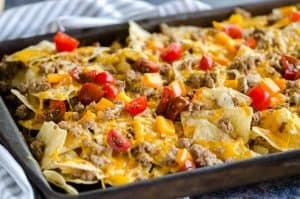 Bake the nachos in the oven for about 10 minutes or until cheese is melted, but not bubbly. Remove from the oven and top with tomatoes and cole slaw. Drizzle with barbecue sauce. 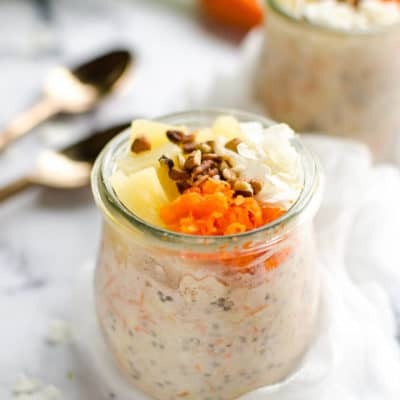 This is such a delicious and easy summer meal! I love that you used ground turkey! Wow! Drooling! 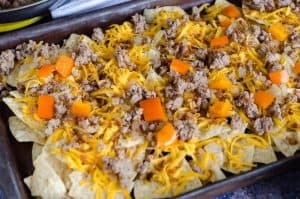 I love nachos and I like your spin on traditional ground beef nachos. Yum!! Thanks Erin. You know how you think something sounds good, but it actually turns out better than you imagined? That was this recipe! !